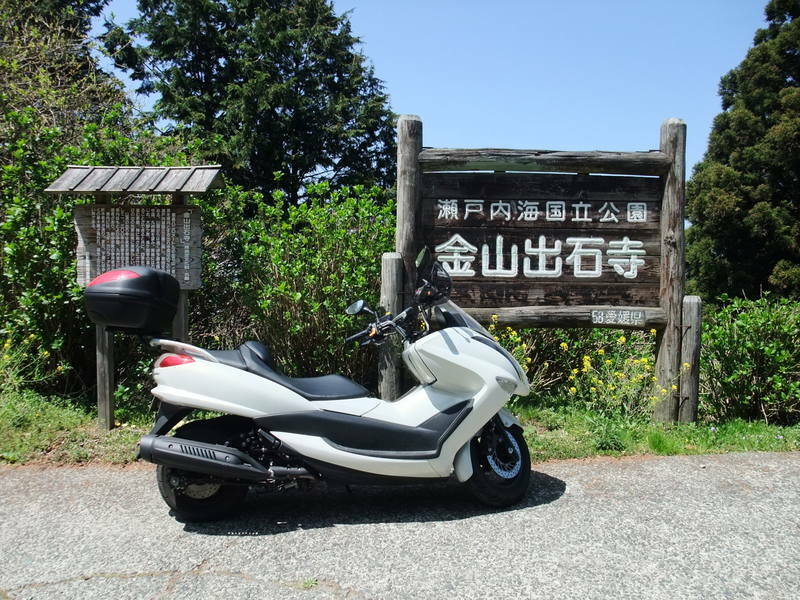 I was born and grew up in a rural area in Ehime Prefecture. It was rare to see people from the West in my childhood. When I saw them from time to time, they were objects of envy no matter what people they were. They were bigger than Japanese and could speak English. It was the only and strong enough reason that I admired them. I don't think of anything special seeing foreign people now, but my childhood was like that. I feel that the worshipping of foreign countries that I had conceived since my childhood might have been a reversed inferiority complex against foreign countries. Cultural background where "looks not typical of the Japanese" is a compliment; the conditions in which adopted words are flooding noted newspapers, magazines and conversations among both ordinary people and intelligent people; the fact that Japan has been kept under the control of China and South Korea due to the issue of Yasukuni Shrine, in spite of this issue being literally domestic; these are incredibly dishonorable and absurd. What on earth did this lack of confidence come from? I speculate that the honest longing and awe for western civilization, technology, customs and manners that had flown into Japan since the Meiji Restoration might have been implanted into our deep psyche. Or, the negative campaign and distortion against Japan's history after the Sino-Japanese War that had been intentionally conducted by the Allied Occupation forces and some Japanese people after the last war, might still remain in Japanese people's mind. Whatever, any Japanese people hearing about such an inferiority complex can never beat the continent's collective psyche that feels superiority against other countries, which is domestically-oriented and is indifferent to their own catch-22 situation or arrogance. During the cold war, as long as Japan was under the big tree named the U.S. with overwhelming nuclear deterrence, it was secure and safe. However, the cold war came to an end. The power of this ally has already started to crack now. At the same time, the unbalance of power was generated in the Far East and Japan which came to face the two ominous superpowers such as Russia and China, and North Korea which dismisses the U.S. with its brinkmanship diplomacy by itself. Then, what should we Japanese do? You might guess that I'll conclude this article with saying "Let's learn English! ", but the answer is NO! Ordinary English speaking people can't negotiate with these tough neighbors. English is only a means of communication and isn't the content itself. The content is more important than using skilled English. The scenery in those good old days, the nostalgic tunes, the gentle people, the beautiful sound of the mother tongue, the unforgettable tastes of local cuisine, the real history that isn't distorted,,,; We should find our identity in these things and become confident. I suppose there is a key to restoring lost confidence in these things. I was busy with the maintenance of my cars this afternoon. I own two different types of car now. 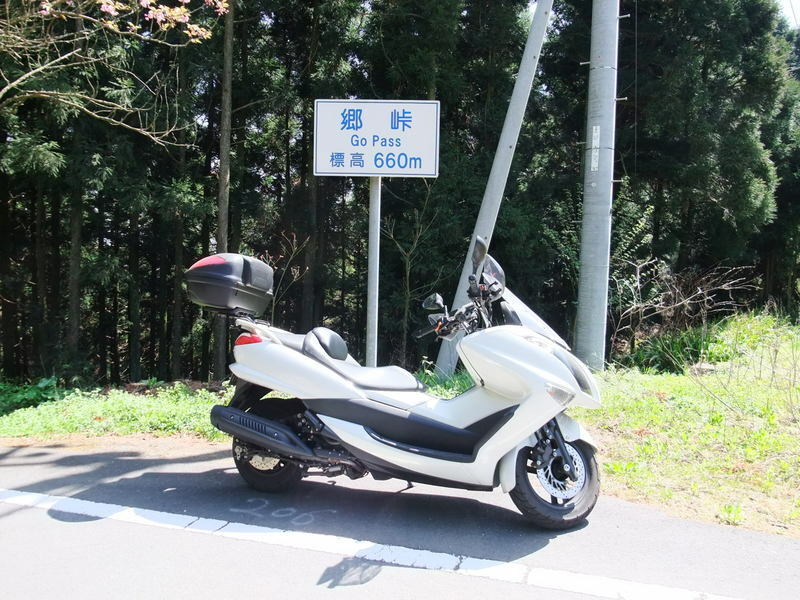 One is a Honda Elysion, which is luxurious and a four-wheel drive. It is equipped with an excellent navigation computer which can receive e-mails, a 6.1ch movie theater system which also can receive TV and a 100V electricity supply which makes it possible to use home electrical appliances. You can enjoy TV games in the car. Besides, this car can accommodate eight people, so it means that this car is particularly good for a long family drive. All my family members like skiing and the original house of my wife is located in a heavy snowfall area. The four-wheel drive is also suitable for my family in this instant. I fix winter tires at the end of the fall every year and remove them at the beginning of the spring. 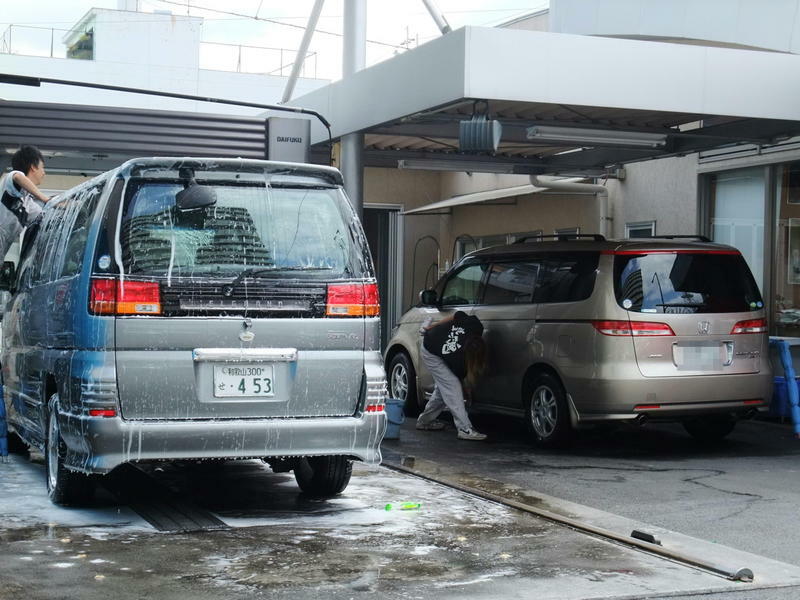 At first, I took Elysion to a car-washing shop. I used to wash my car by myself before, but recently, I have been using professional people in order to cut back on my labor and save my time. 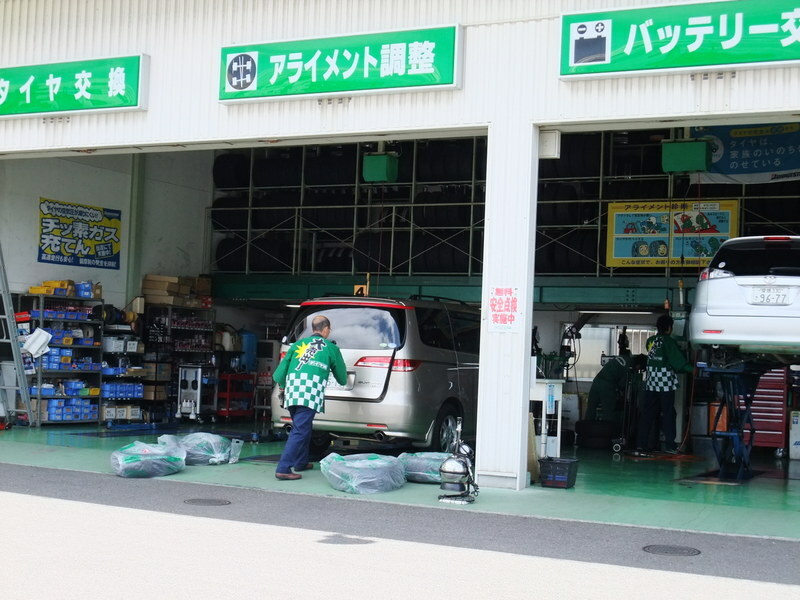 Next, I went to a tire shop and exchanged the tires from winter tires to summer ones. 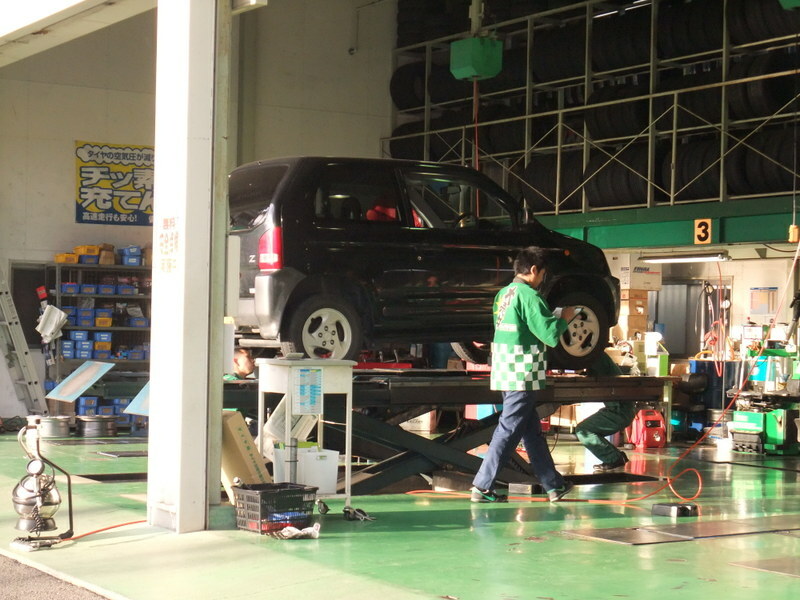 Eventually, my second car, a Honda Z, which is 660cc, needed an exchange of tires to new ones after three years of usage and I did it. "In this instant" means "in this case," which is similar to but not quite the same as "in this respect." North Korea has repeated state crimes such as kidnapping of a few hundred Japanese citizens, making fake bills, production of narcotic drugs, terror and so on. China made up the Nanjing Massacre out of the total history of the war and hasn't paid any attitude of appreciation for the Japanese ODA of up to 6,000,000,000,000 (6 trillion) yen. South Korea has adopted an anti-Japanese policy and has implanted anti-Japanese feelings in people's minds in spite of the fact that the recovery from the Korean War and development wouldn't have been accomplished without the aid of Japan. The South Korean development was really wonderful and it is also called "The miracle of Han River". Russia violated the mutual non-aggression treaty unilaterally and took many Japanese people into custody on the frigid ground of Siberia for a long time and consequently killed lots of them. Moreover, Russia has been illegally occupying the northern islands and Sakhalin since the end of the Greater East Asian War until now. The U.S. even has no notion of original sin about the atomic bombing in Hiroshima and Nagasaki. In this context, Japan is supposed to stand in a position that is far superior to others both morally and ethically. However, the Japanese Government issues no messages about them. Are they aware that their policies are based on Japanese chivalry; "bushido"? Every country has a dark side of its history. 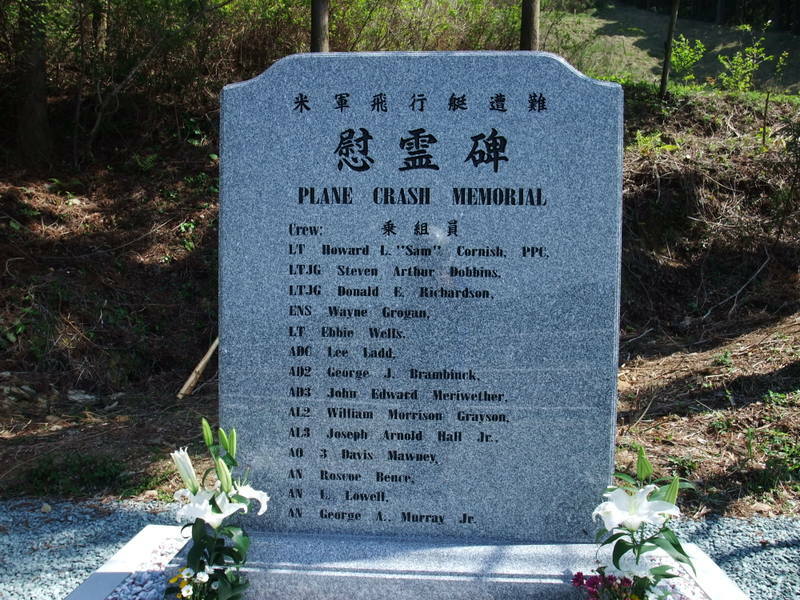 There's no country except Japan that has been apologizing for something that happend more than a half century ago. Japan must be a goodwill country. A questionnaire was done among 313 intelligent people. Of the total 313 participants , 51 were from the U.S., 21 Singapore, 19 Australia, 30 Thailand, 35 China, 74 Japan, 31 India, 17 Korea and 35 Indonesia. 65.5% of people pointed China out as the most powerful country and 38% as the most dangerous threat 10 years later. On the contrary, the rate of people who think of Japan as the threat was remarkably low. The people who thought like that were a few Chinese and Indians only. No Koreans thought like that. The problem is, the Japanese mass media hasn't spread the kind of news that encourages Japanese people. I feel a huge disgust against most of the Japanese media. My former teacher in high school retired. He was a real mentor. I don't have enough words to appreciate him. Some of the classmates got together and had a party today. The picture was taken at the end of the party. He is in the center of the anterior row. He looks unbelievably young and is sitting on purpose between his students who look incredibly old. I just felt that time flies. It was totally clear this morning and I've been going to ride my scooter since last night, for I saw the weather forecast on the TV last night and it said, "Tomorrow will be a comfortable day." After a long consideration, I decided to go south with my scooter at that time. I had cared for a person with a cervical spine injury for three years about ten years ago. I heard that he had moved into a nursing and personal care facility in Ozu City to the south of Matsuyama City. I wanted to see him after a long interval. His condition was so-so and I was relieved. We chatted for about an hour. (Crew) LT Howard L. "Sam" Cornish (PPC), LT(jg) Steven Arthur Dobbins, LT(jg) Donald E. Richardson, ENS Wayne Grogan, LT Ebbie Wells (Squadron Maintenance Officer), ADC Lee Ladd, AD2 George J. Brambinck, AD3 John Edward Meriwether, AL2 William Morrison Grayson, AL3 Joseph Arnold Hall Jr., AO 3 Davis Mawney, AN Roscoe Bence, AN L. Lowell and AN George A., Murray Jr.
My hometown, Matsuyama City has a sister city relationship with three cities in the world. The three cities are Sacramento, CA in the U.S., the Korean city of Pyeongtaek-si (평택시 平澤市) and Freiburg in southern Germany. 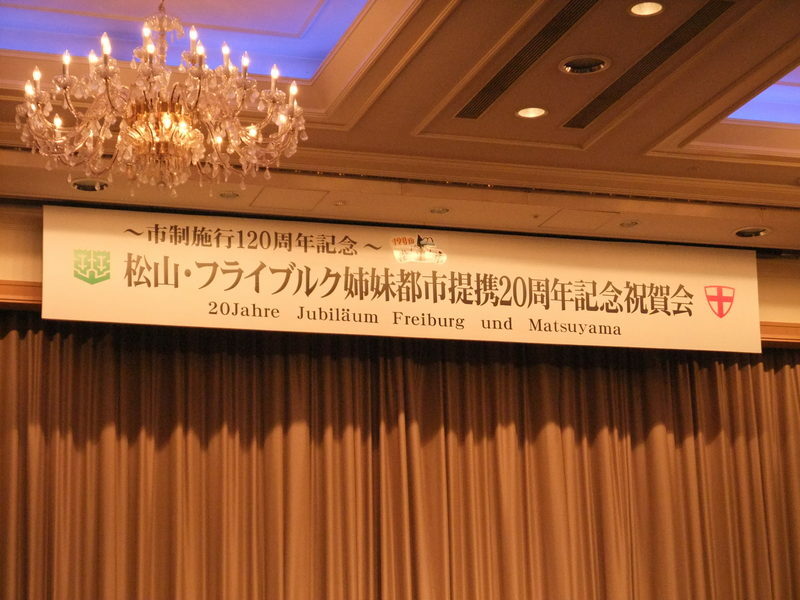 It has been 20 years since the agreement with Freiburg and a goodwill mission visited Matsuyama City from Freiburg. The leader was the Mayor of Freiburg, Dr. Dieter Salomon. 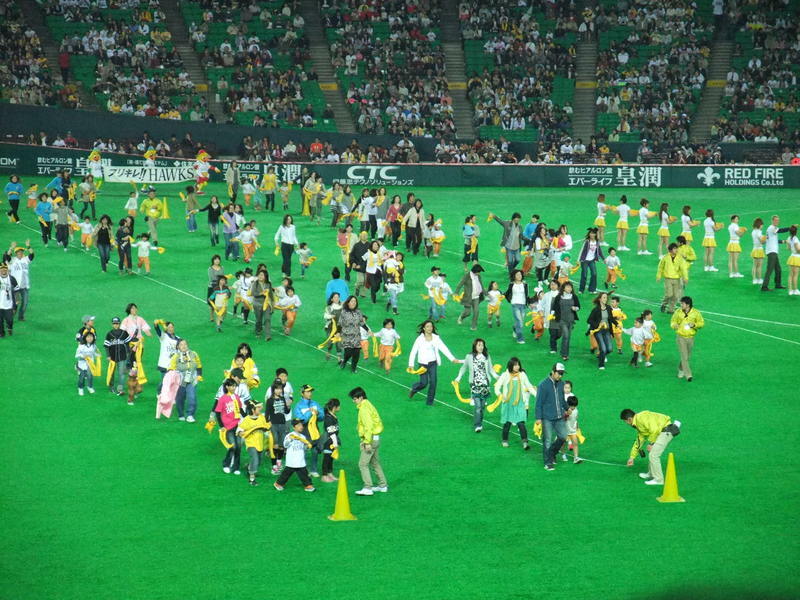 In response, Matsuyama City had a welcome party and I joined it. I'm not a good speaker in German. I had a little concern about the conversation with them, but the person next to me could speak English fluently and it helped me. While I was chatting with him, I became eager to visit Freiburg. I've never been to Germany and I think that many people would choose big and famous cities such as Frankfurt, Bonn, Berlin and so on as the first city in Germany. However, I got interested in Freiburg through the chatting. Freiburg is famous for its clean environment and is located near the border with Switzerland and France. I'd like to just spend time there and have a one-day trip to Basel in Switzerland and Mulhouse in France. Crossing the border between countries is interesting to me. Besides, Freiburg is a two and a half hour railway ride from Frankfurt which is directly connected with Japan. Freiburg is a small and rural city, but isn't so far from Japan in this sense. Anyway, this meeting motivated me to learn German. I was in Fukuoka City to attend the meeting of the Japan Surgical Society on Apr. 3rd. I have joined this meeting every several years. The purpose of attendance was naturally the absorption of the up-to-date techniques and knowledge, but I had another goal this time. It was a kind of a reunion. I'm a general surgeon and spent several years as the resident at a few hospitals. The staff members or fellow residents of these hospitals became separated now. Our occupation and/or our age are so busy that we can hardly take long enough days off at a preferable time. If we wanted to get together somewhere, it's almost impossible that a dozen people can arrange their schedules. Actually, a few people just met each other for the first time in the last 20 years. By the way, though our schedules are usually tight, it's easier to take days off in order to join the annual meeting of the congress. A friend noticed it and planned the reunion in Fukuoka City, where the surgical congress would be held. The date was set on Apr. 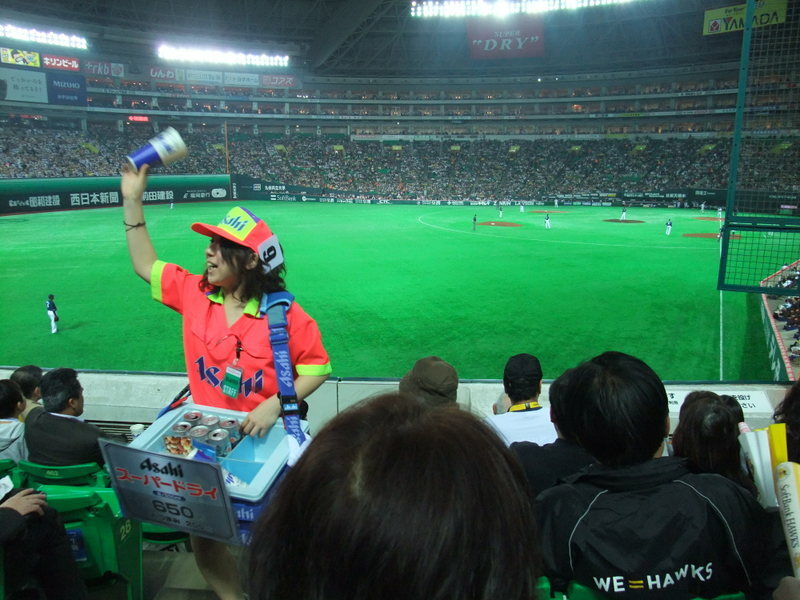 3rd, and the place was determined to be at Yahoo Dome Stadium, where the opening game of professional baseball would be played. You can see where we were seated at the game. The result is, the franchise team, Soft Bank Hawks won the massive victory. We and people around us got carried away. I'm not a fan of the Hawks, but I couldn't help being an instant fan of the Hawks. 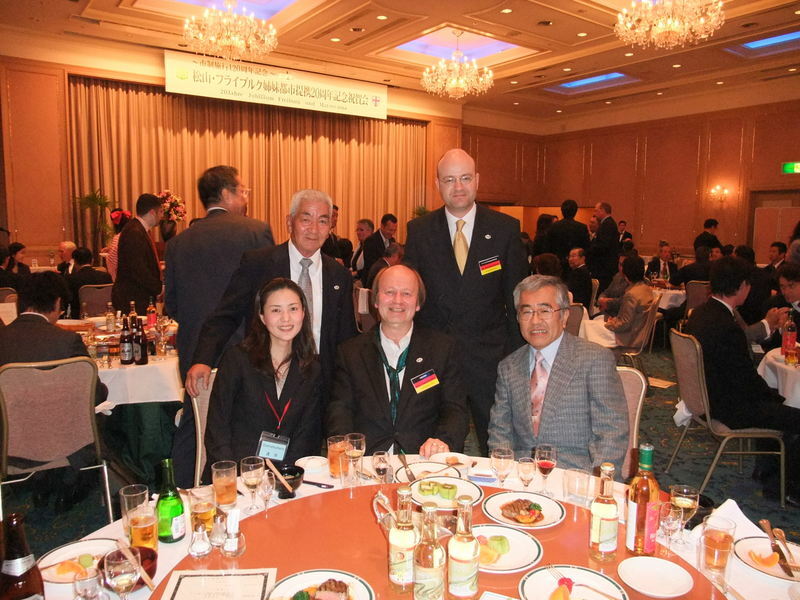 I went to Fukuoka City to attend the Annual Congress of the Japan Surgical Society on Apr. 2nd. 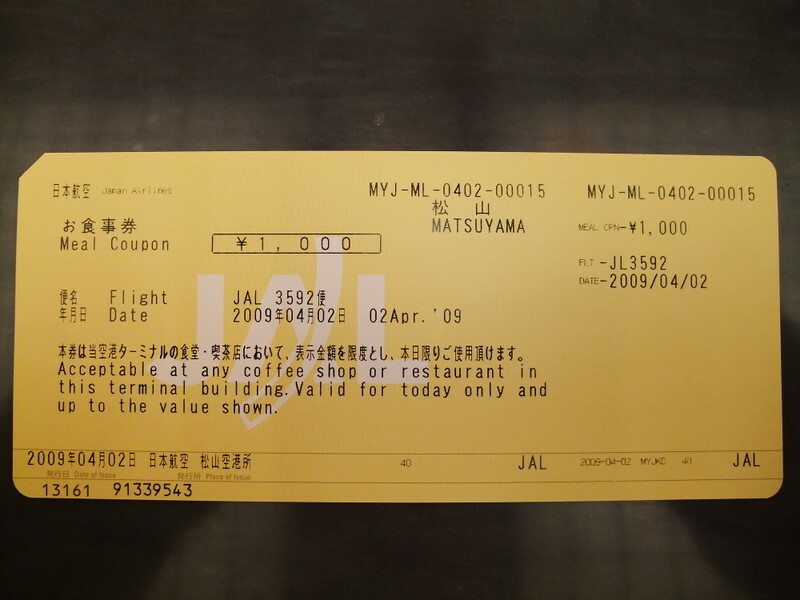 When I was waiting for my flight in Matsuyama Airport, it was announced that my flight had been delayed more than one hour and a meal coupon was delivered to the passengers. It was the first time I'd seen this kind of coupon. It was because it took more time than expected to check the plane before depature, but anyway I felt bad for the company.